MITS has been providing Infor Distribution SX.e users with interactive reporting and analysis software solutions since 2012. 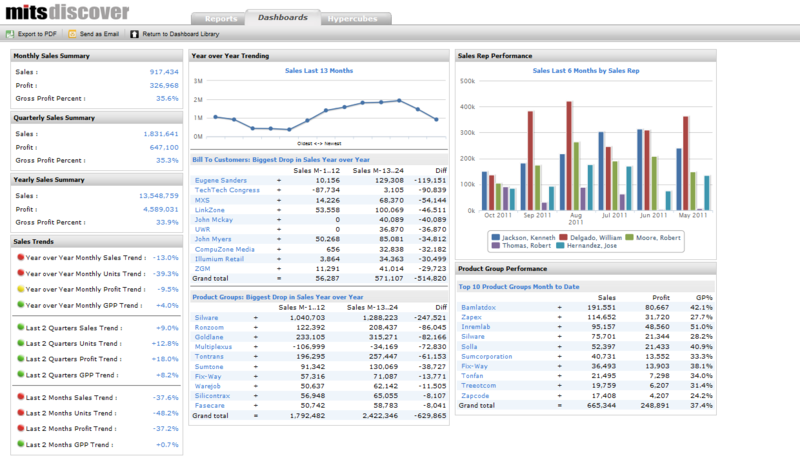 The standard reports, dashboards and scorecards that come with MITS Distributor Analytics reflect the terminology and structure of SX.e, making it easier for your team to understand the data, reports and analysis they now have at their fingertips. 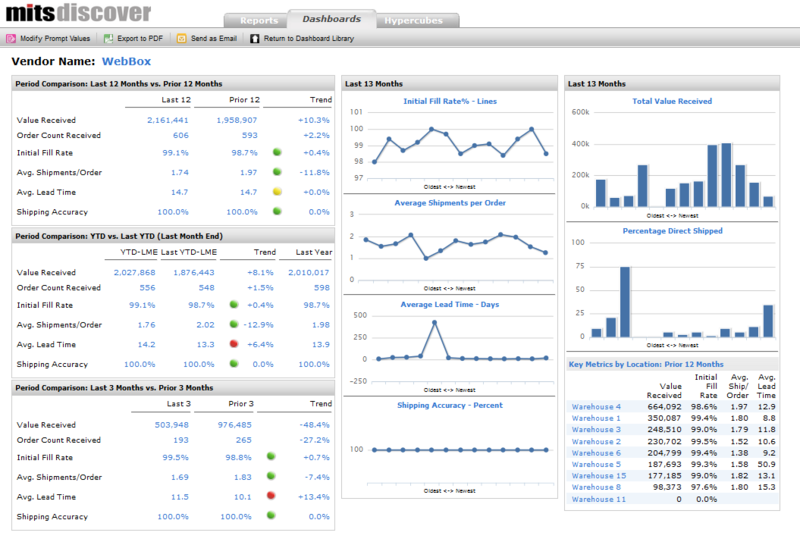 Why MITS Distributor Analytics for SX.e? Reporting stability: Looking to replace Hyperion™ or simply tired of the constantly changing list of business intelligence best practices for SX.e? The MITS solution offers a stable reporting and analytics solution, including a suite of reports and tools developed and tested by distributors over the last decade and a half. Efficient data extraction: Getting data out of SX.e can be challenging. We’ve developed and tested the most efficient method for extracting data from Progress into a format that is the most efficient for reporting and analytics. From static to interactive in seconds: Turn existing, static Hyperion Brio™ reports developed by your internal IT staff or by outside consultants into more powerful, web-enabled, interactive reports by simply copying/pasting their SQL queries directly into MITS Report. MITS Discover extracts data directly from your SX.e database tables and then builds it into MITS hypercubes for fast trending and summarized reports. 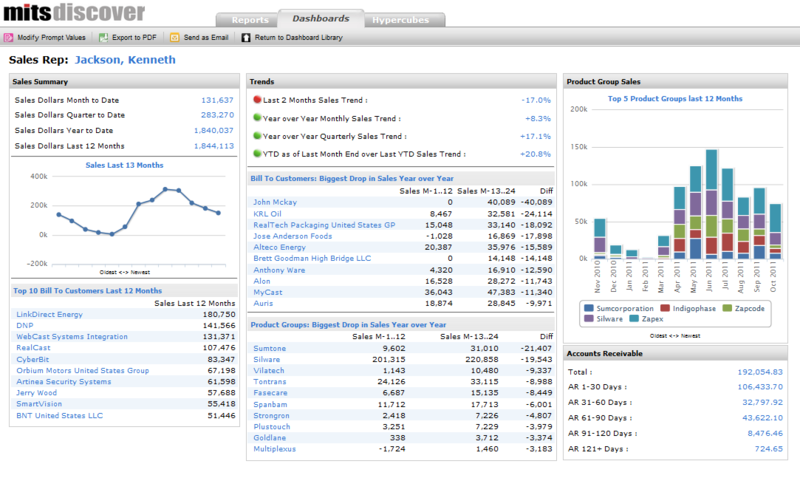 Users can then either run pre-built reports and dashboards or easily create their own. 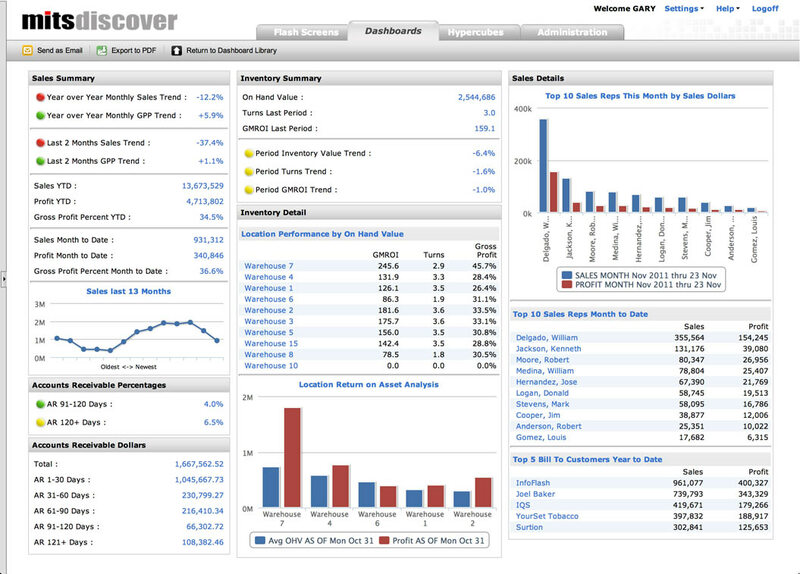 What if I need customized reports, dashboards, or scorecards? 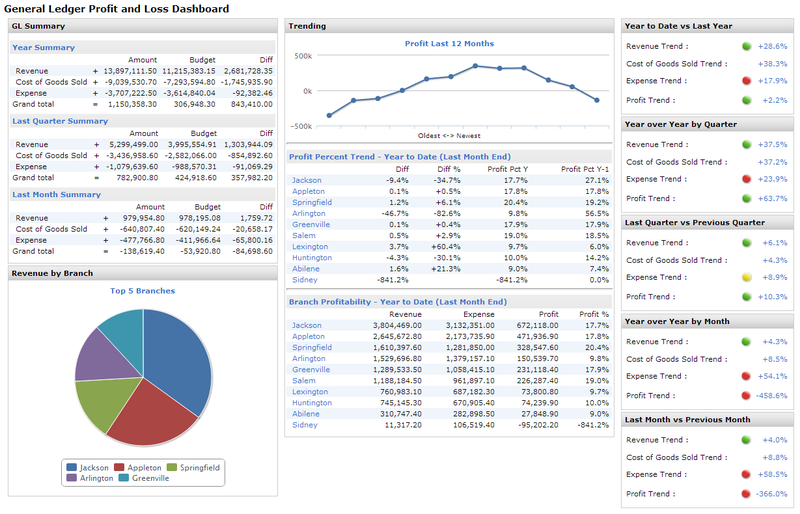 Reports, dashboards, and scorecards can be easily modified by users that have had just a few minutes of training. For more advanced customization requiring technical skills not available inside your company, MITS’ in-house Professional Services team can work with you to customize the base installation of MITS Distributor Analytics.